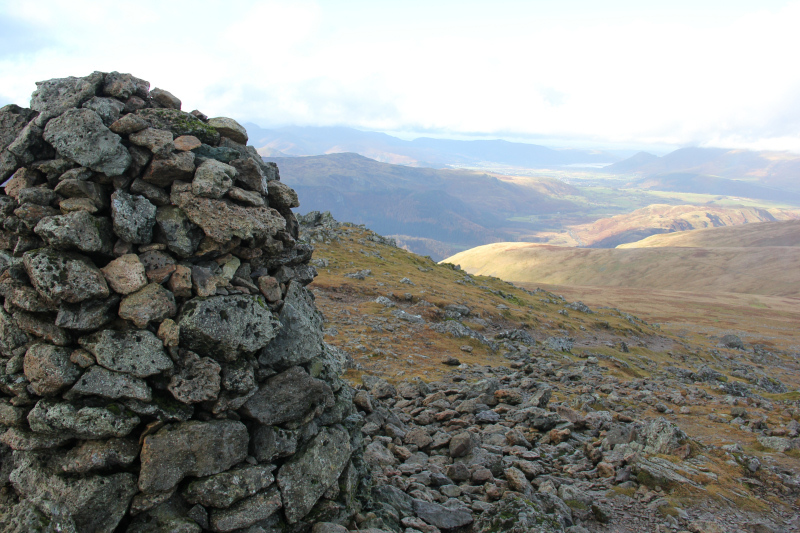 After spending last night in the King’s Head Hotel, I decided to take advantage of the free parking today to ascend Helvellyn from Thirlspot. 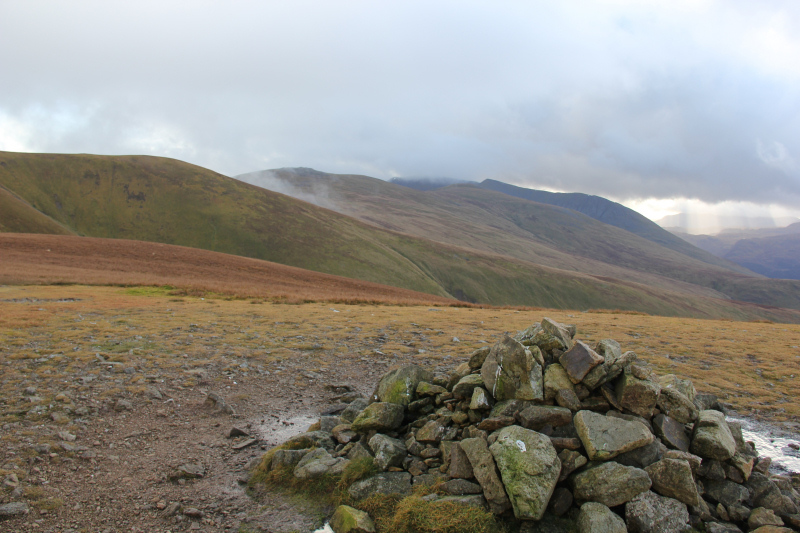 As well as ascending Helvellyn, I also quite liked the idea of traversing some of the Hewitts/Wainwrights to its North. 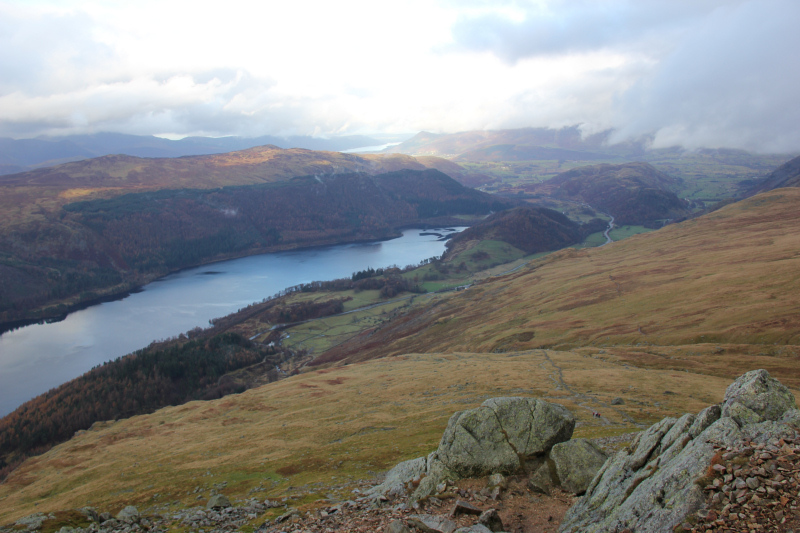 I therefore set off for Helvellyn, with a view to subsequently traversing the ridge, seeing how far along I could get within available daylight. 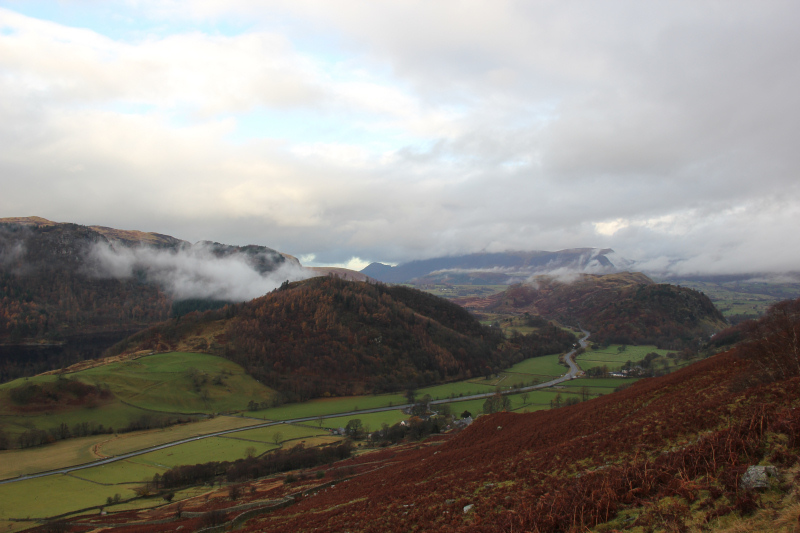 Waterproofs were on at the outset but thankfully the rain didn’t stay on for long. 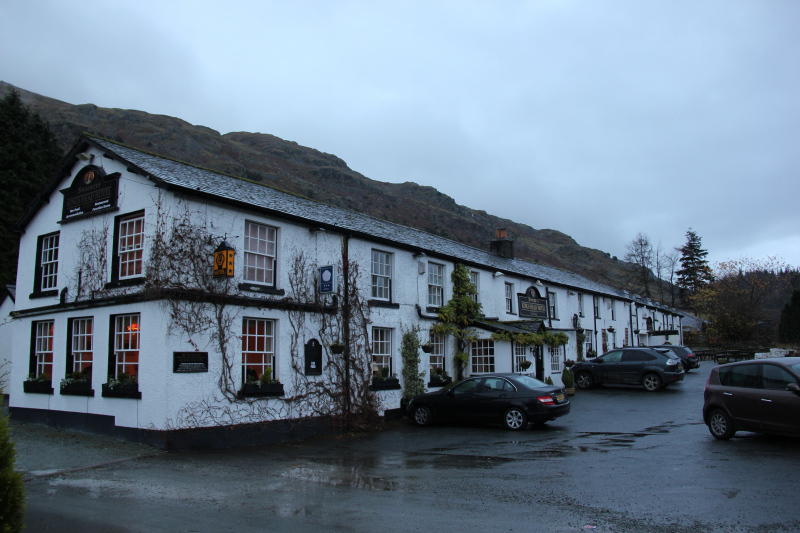 To reach the start of the public bridleway, I walked a short distance to the right of the hotel to enter the adjacent farm. A short distance behind the hotel, I crossed over a small aqueduct. After passing through several gates, I reached a junction of tracks. 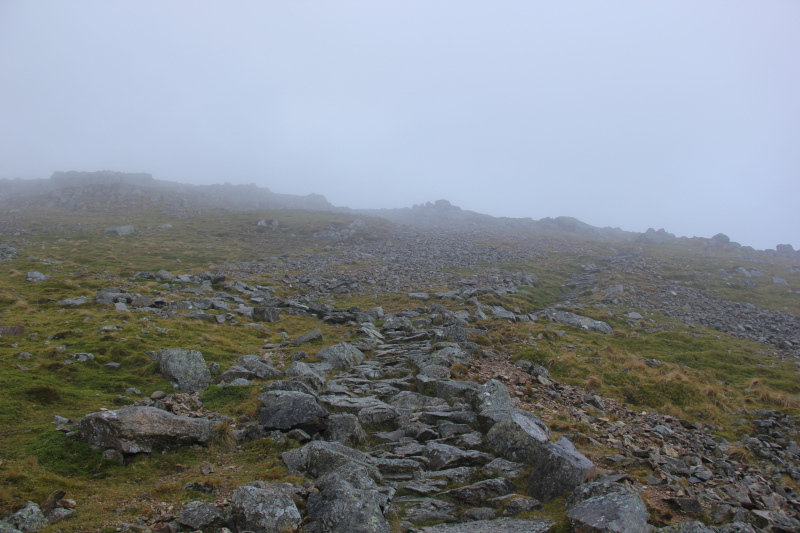 I initially took the wrong track but soon realised my error as I started losing height. 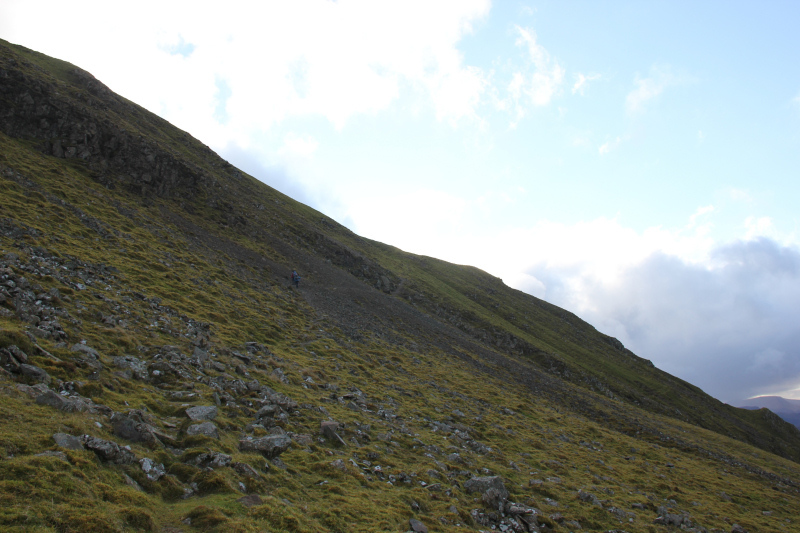 On returning to the junction of tracks, I ascended directly up the hill to skirt behind the crags. 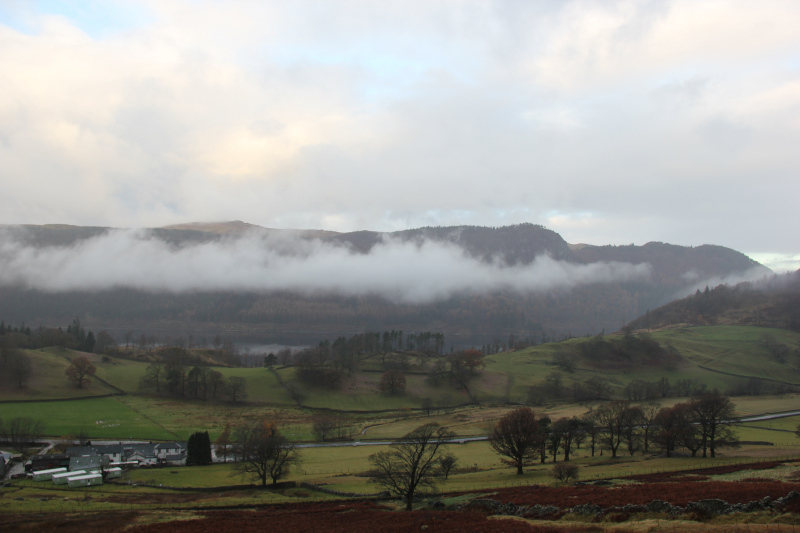 As I gained height, I got increasingly good views of Thirlmere. 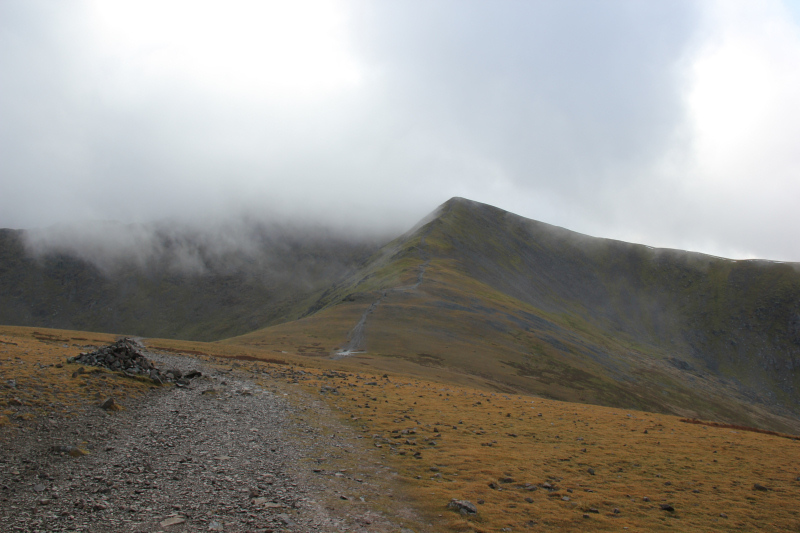 The track from Thirlspot towards Helvellyn is really poor compared with the track next to Helvellyn Gill. 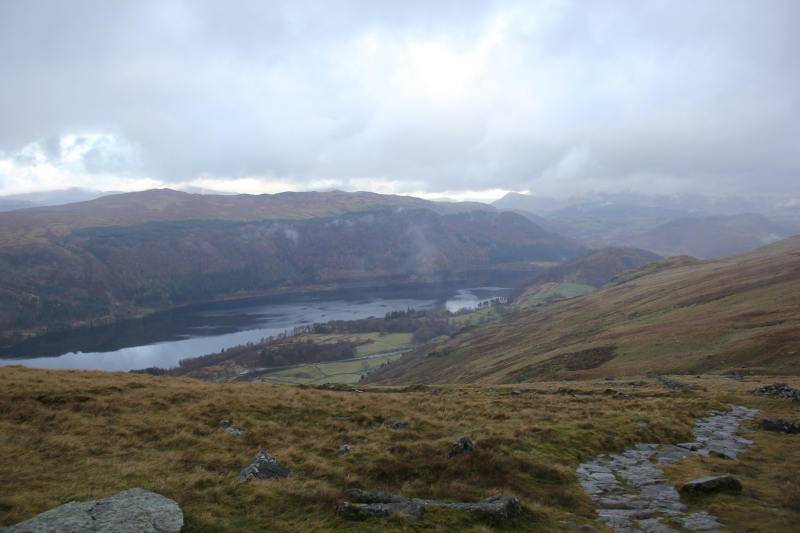 If ascending from Thirlmere side, I would recommend the track next to Helvellyn Gill. 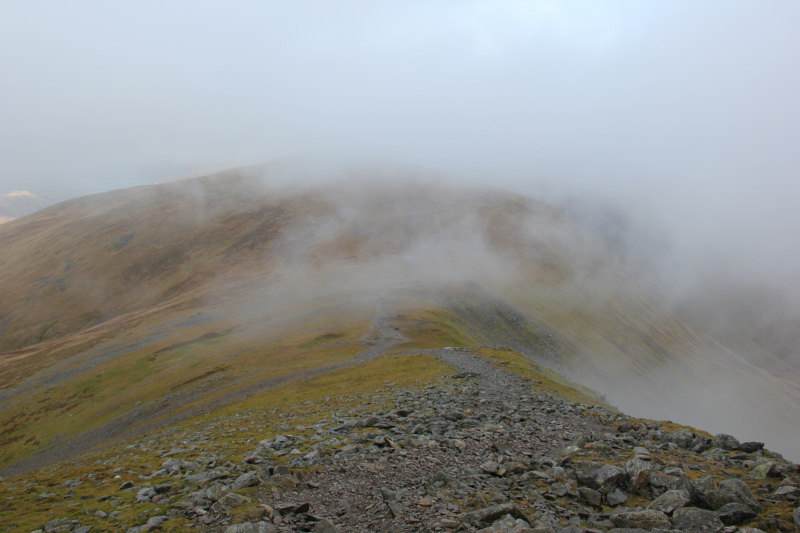 Unfortunately, Helvellyn was capped in cloud during my ascent and throughout the day. 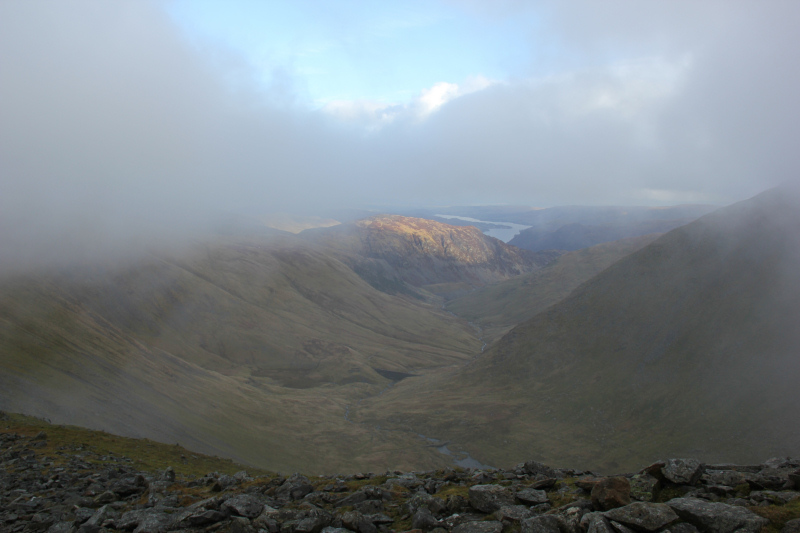 It was disappointing to walk up into the cloud and thereafter only catch fleeting views. 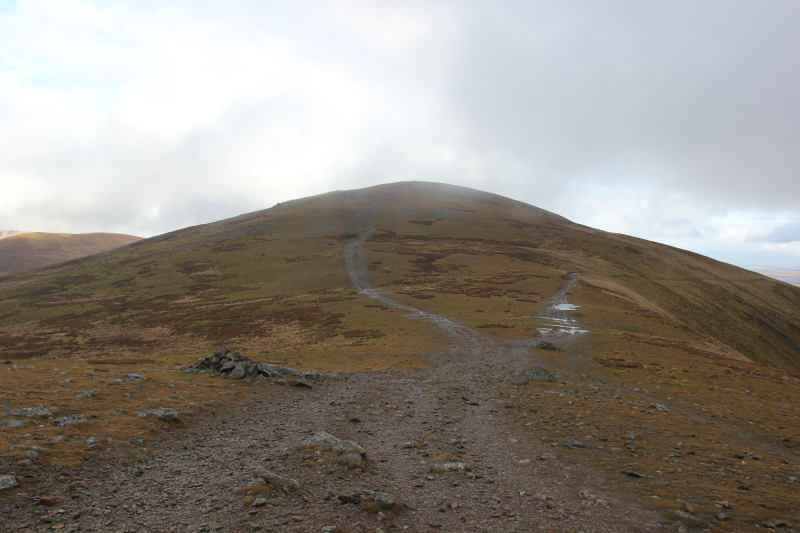 I took a short detour off the main path to ascend Lower Man during the ascent. 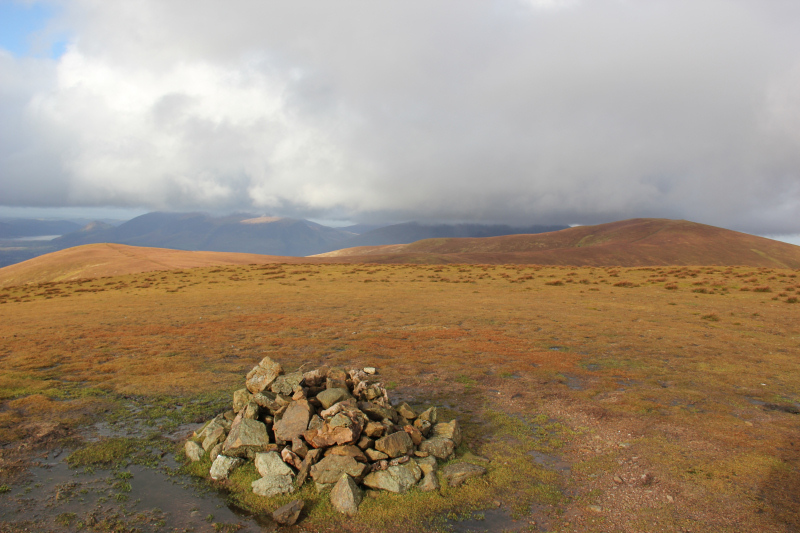 This turned out to be unnecessary as I would soon be ascending Lower Man again to progress along the ridge. 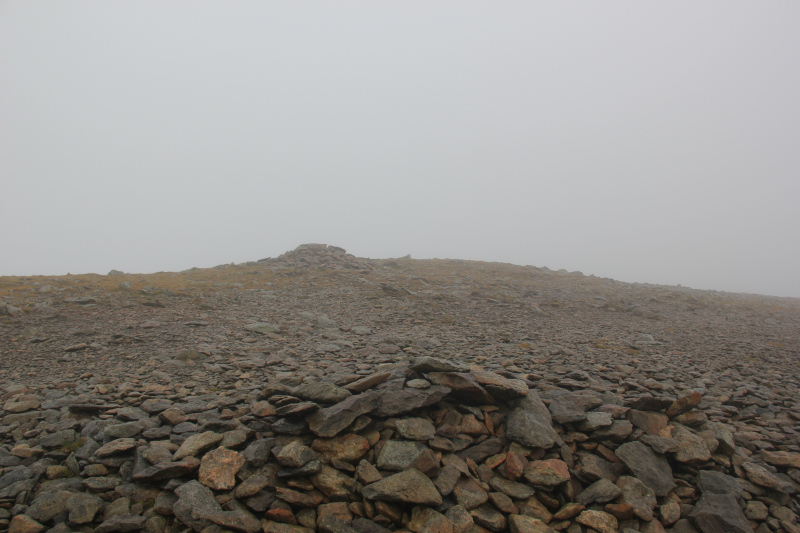 As I approached a misty Helvellyn, I reached a large cairn. 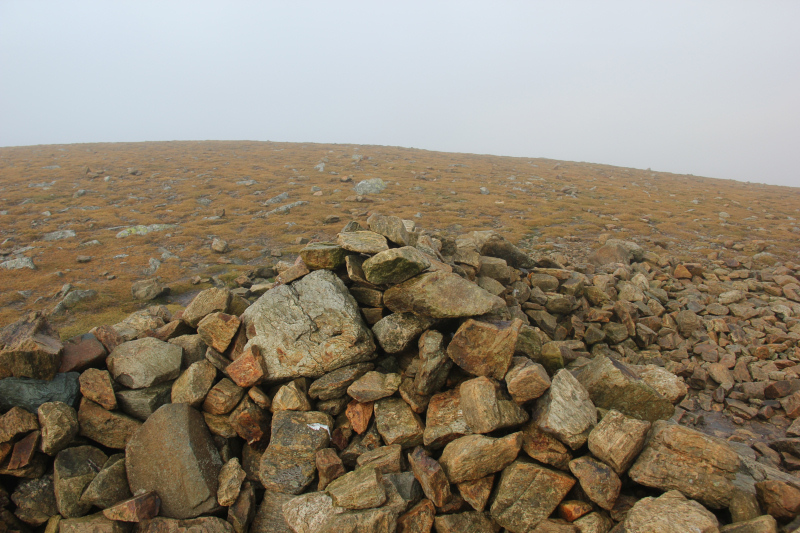 I realised that the cairn was not the high-point, so continued on to reach the trig point and beyond to the summit cairn and shelter. 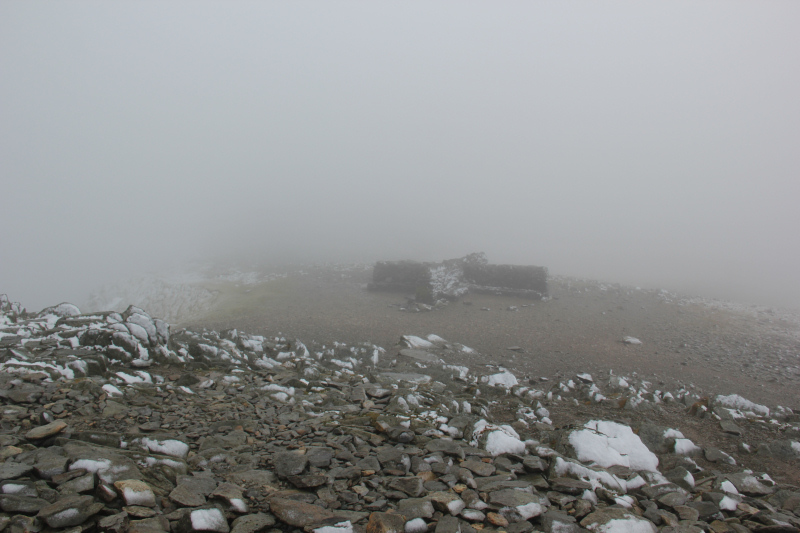 On reaching the summit, I was a bit surprised that there was no-one else at the summit. I was similarly surprised that there was no-one at the shelter. 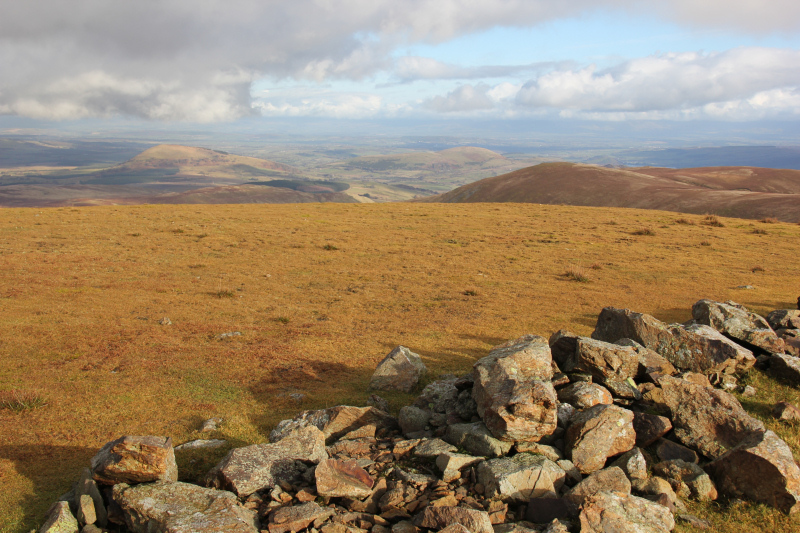 I had the summit of one of England’s busiest hills to myself. 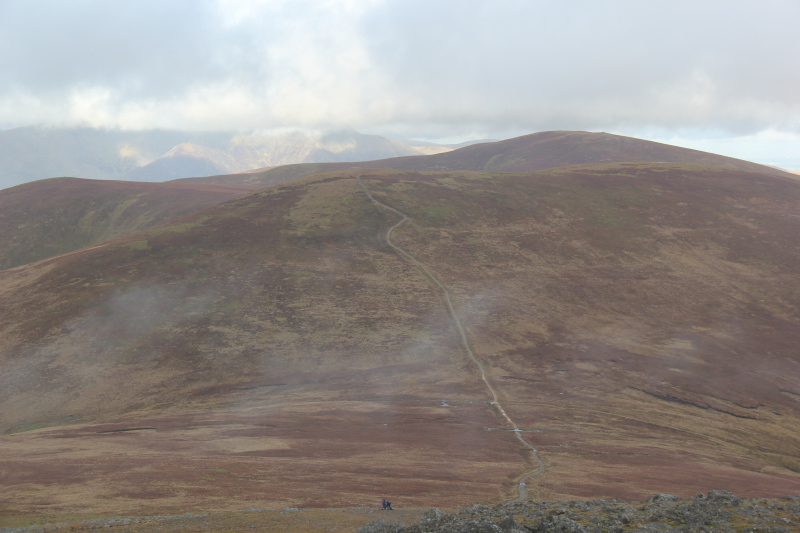 After spending circa ten minutes at the summit shelter other groups started to arrive. More and more and more people. 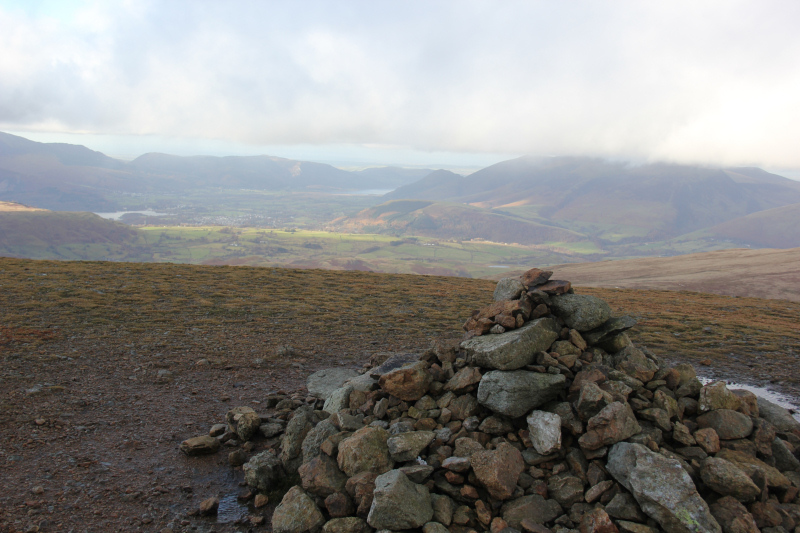 From the summit, I returned to the trig point and then re-ascended Lower Man. 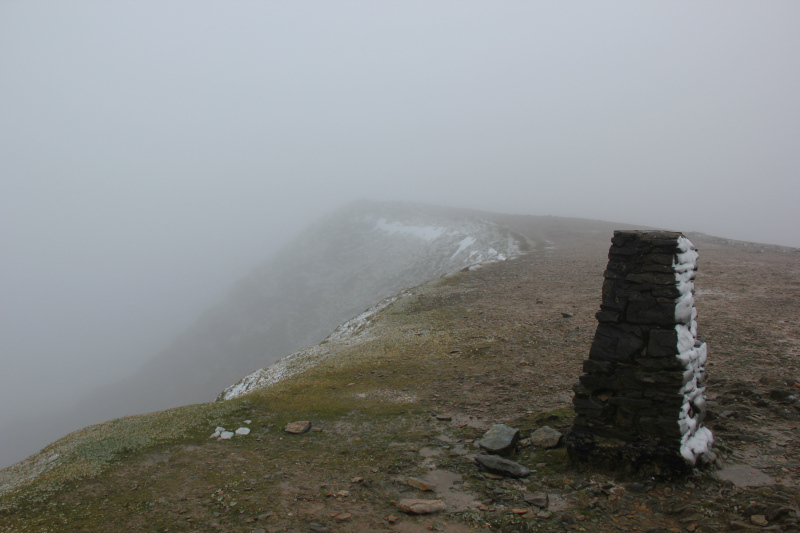 There are some really steep drops at the summit of Helvellyn and also during the descent towards White Side. No place for a slip. 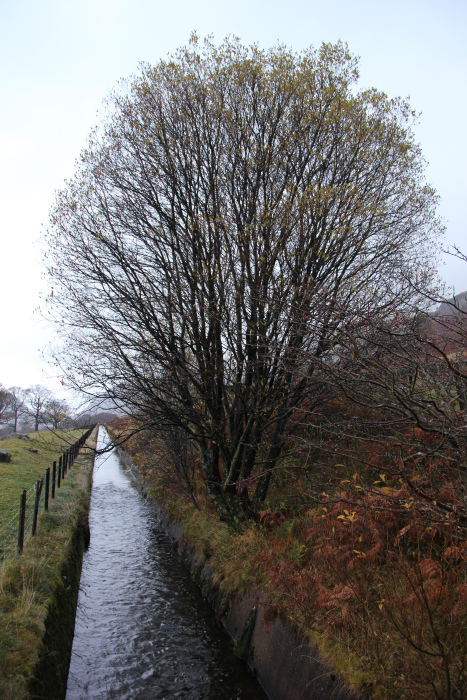 As I made my way towards White Side, I spotted what I think is a small dam/wall down in the Brown Cove coire. 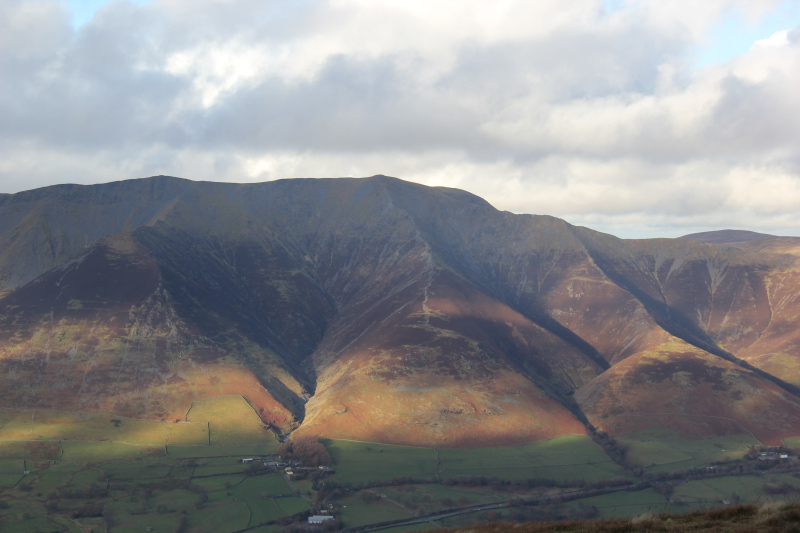 From White Side on, Wainwright bagging felt very much like Donald-bagging. 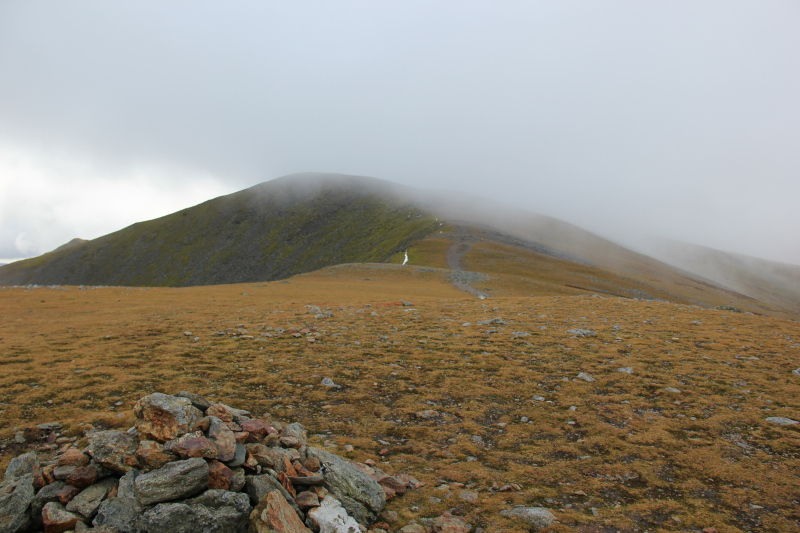 On reaching the summit of Raise, the cloud started to clear. 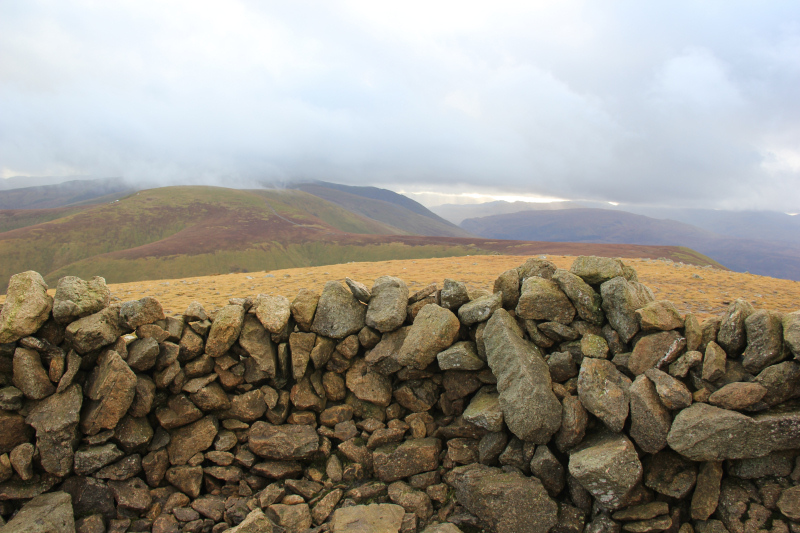 Beyond Raise, I reached Sticks Pass. 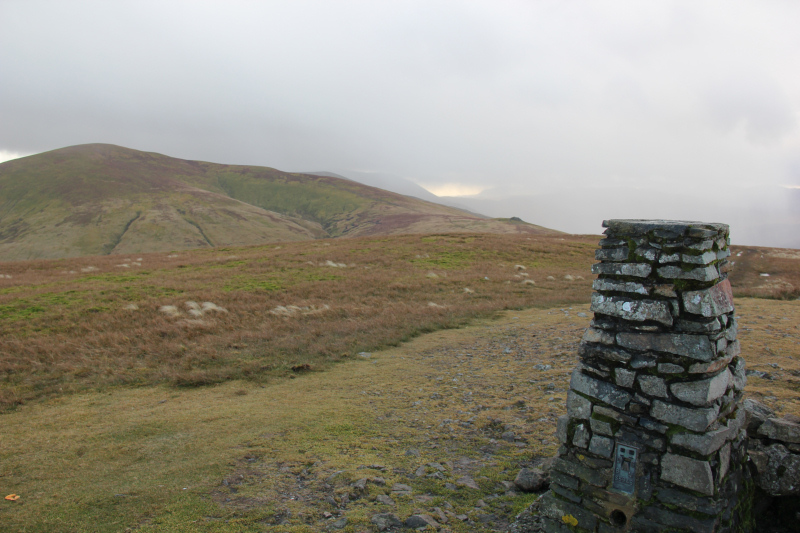 This was decision point – descend back to Thirlspot from Sticks Pass or continue along the ridge to its end for a descent to the B5322. 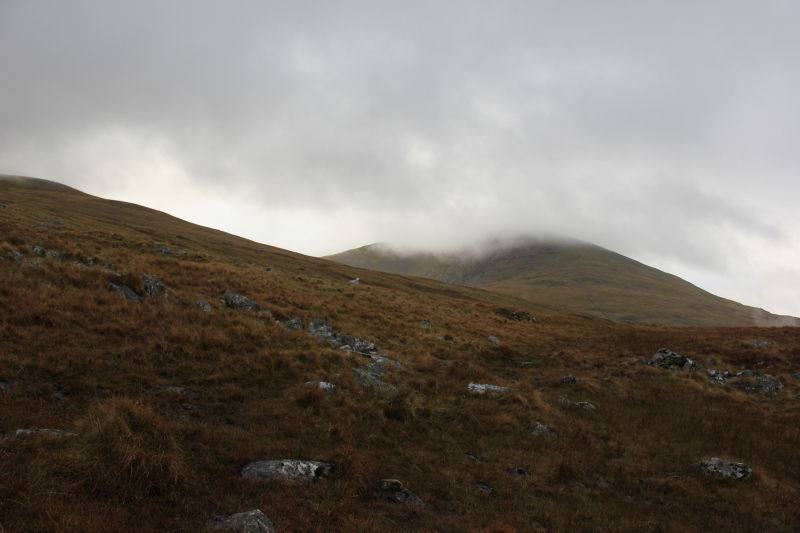 I reckoned that I had sufficient daylight left to continue along the ridge, so that is what I did. 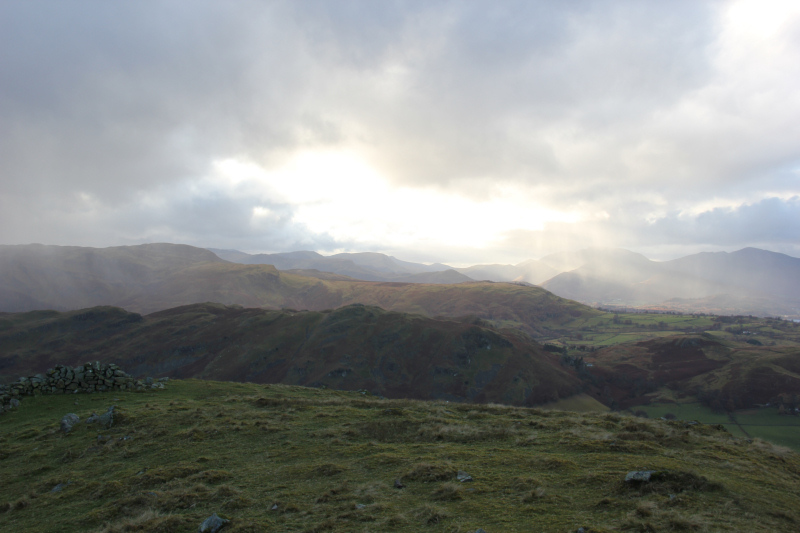 It was nice to see across to Great Mell Fell and Little Mell Fell, two hills that I may ascend sometime in the next week. 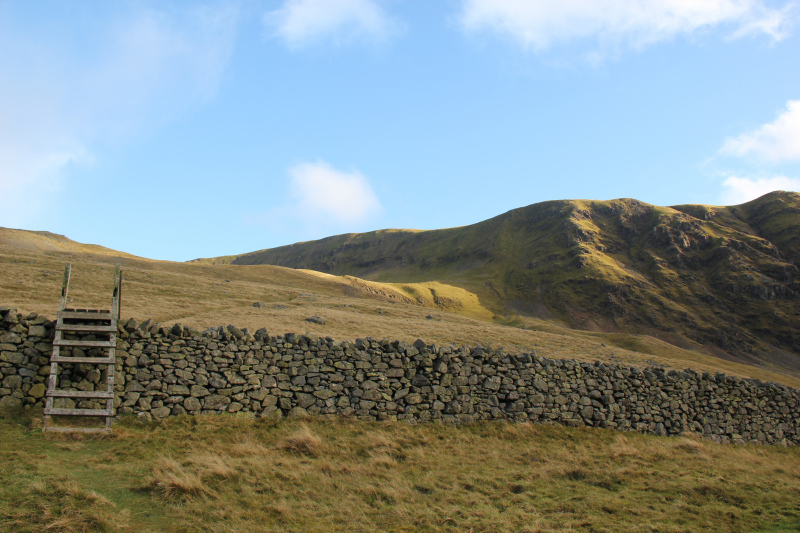 Watson’s Dodd was the only Wainwright of the day that was not also a Hewitt. 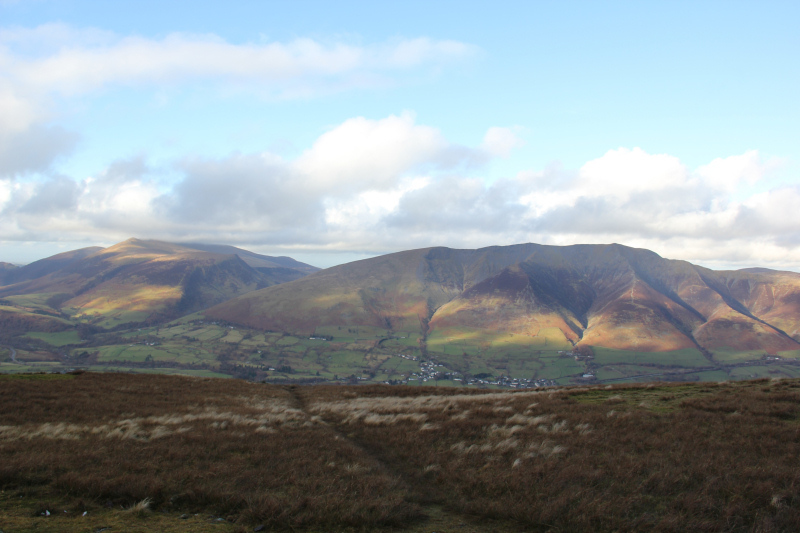 The ascent of Great Dodd involved a bit more effort. It is also a HuMP. 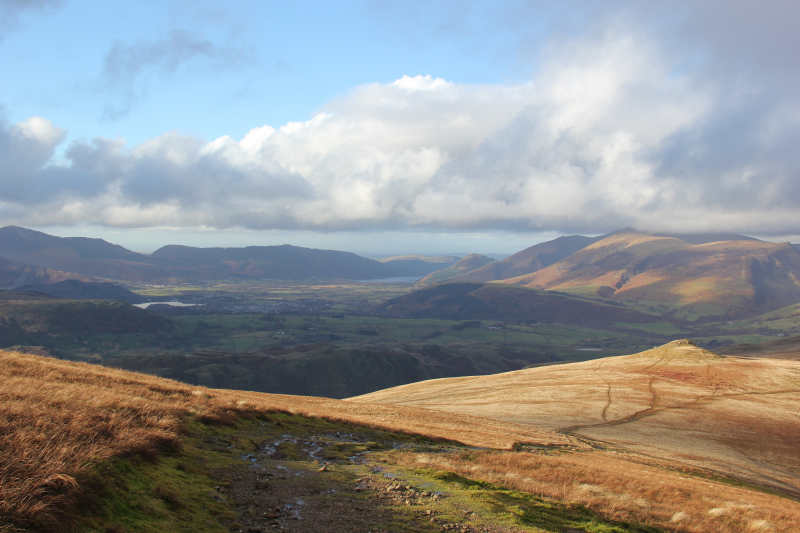 From Great Dodd, I made my way towards Calfhow Pike. 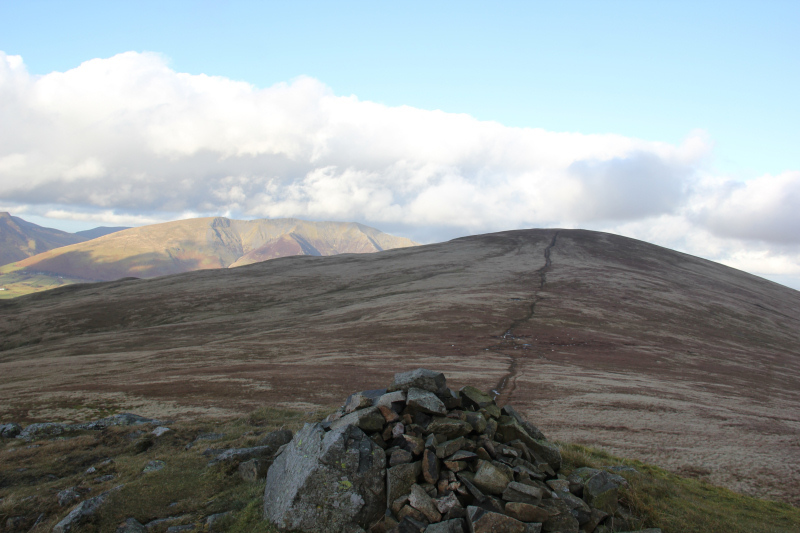 I thought this was one of the most interesting peaks on the ridge and yet it is neither a Hewitt nor a Wainwright. 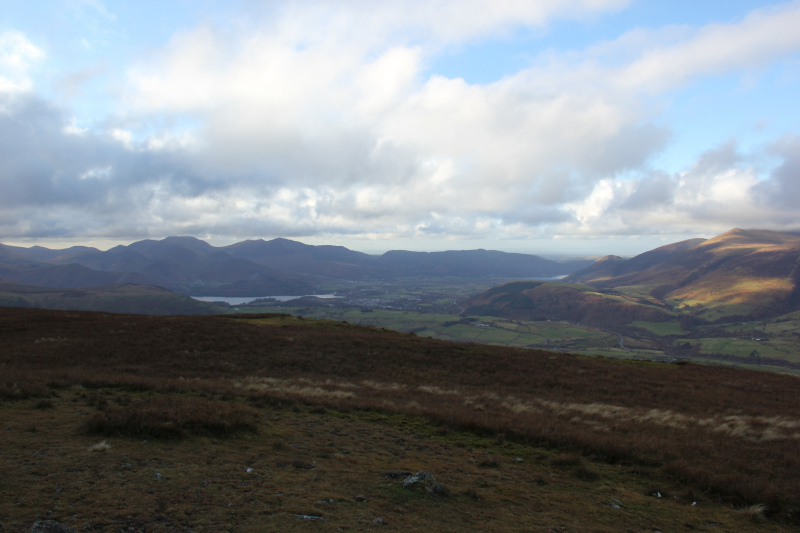 From Calfhow Pike, I started to get good views towards Skiddaw and Blencathra. Both of these hills look excellent. 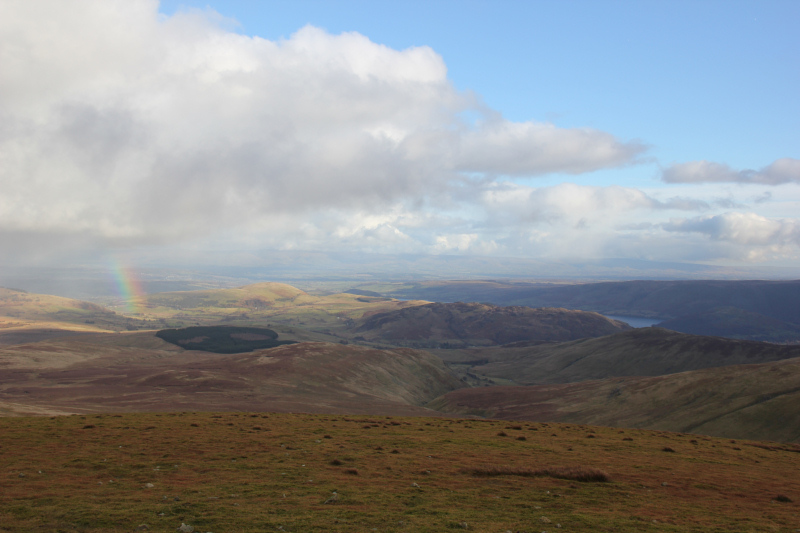 It didn’t take long to reach the summit of Clough Head. 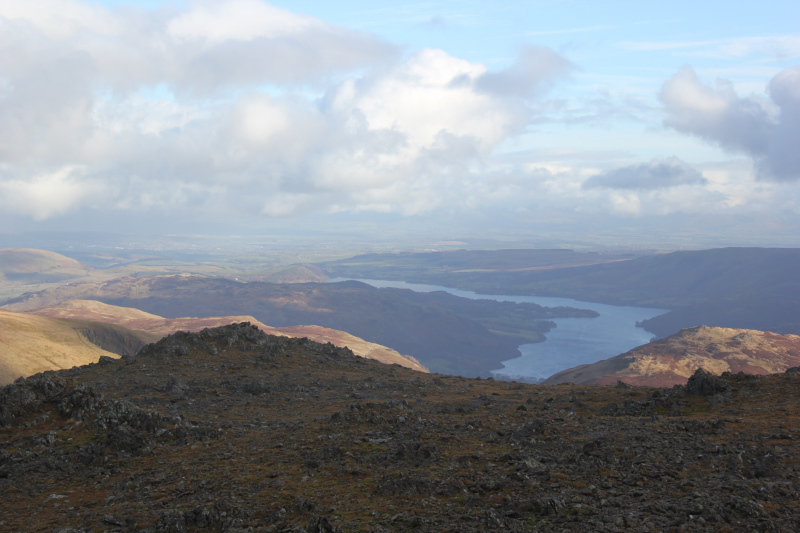 I was however glad it was the final peak as I was starting to tire of all the ups and downs. 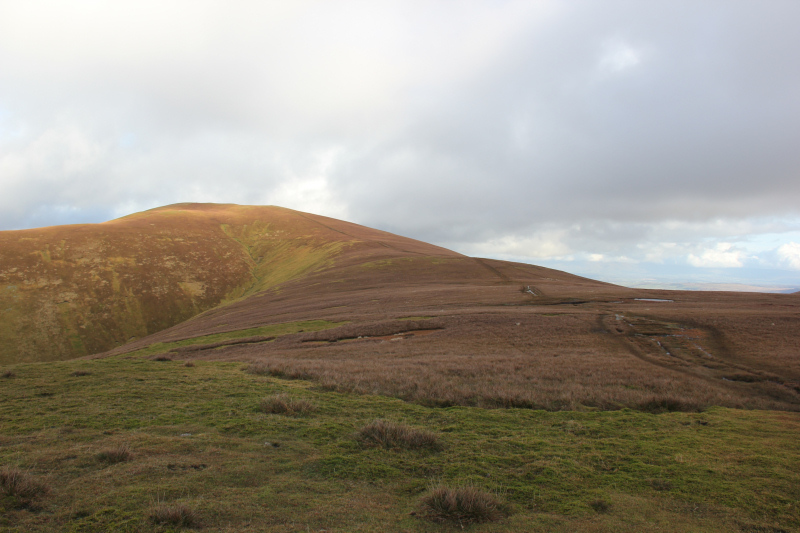 From the summit of Clough Head, I followed a faint path leading down to the start of a path marked on the map which traverses down through steep ground. 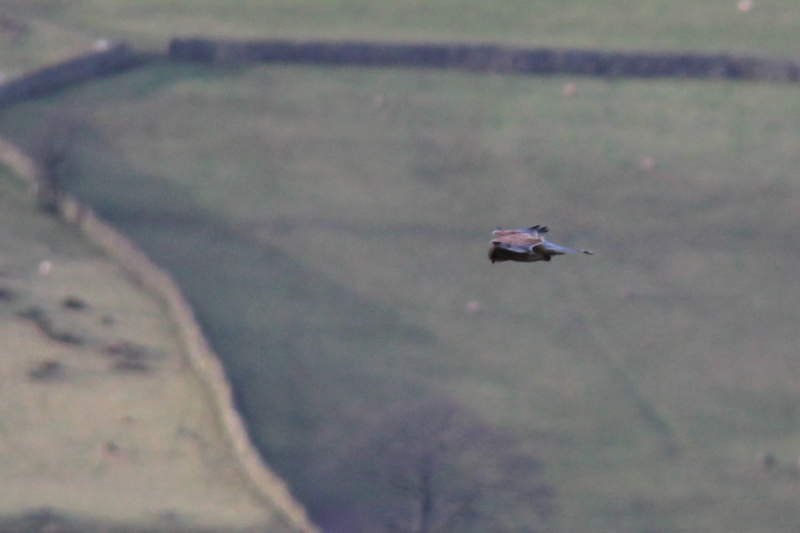 During the descent I was lucky enough to spot a hovering Kestrel in the distance. I watched it hover and drop several times before it finally flew off. 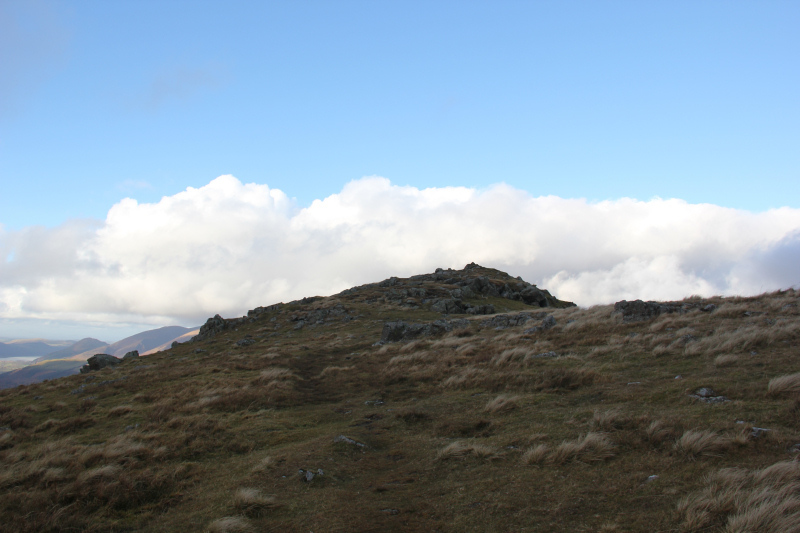 On reaching the end of the path, I crossed a stile and then continued down through a small wood to the right of a quarry. 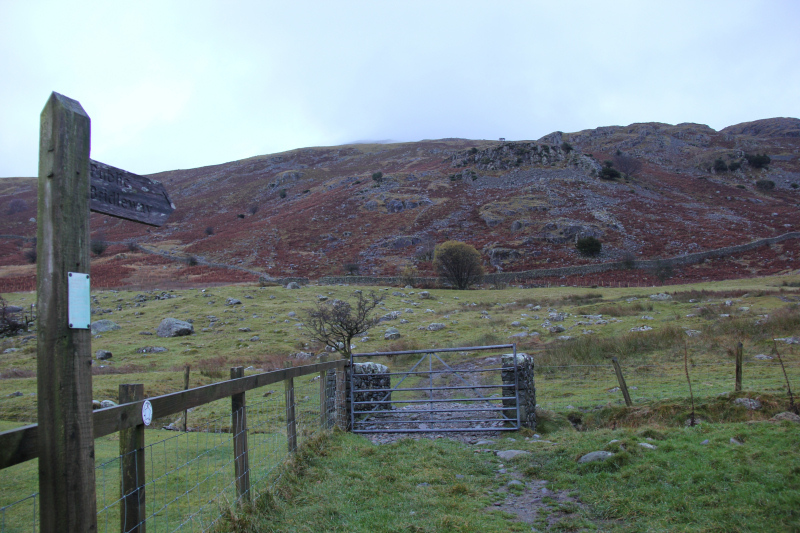 I then followed a track, with numerous gates, leading down to the road. 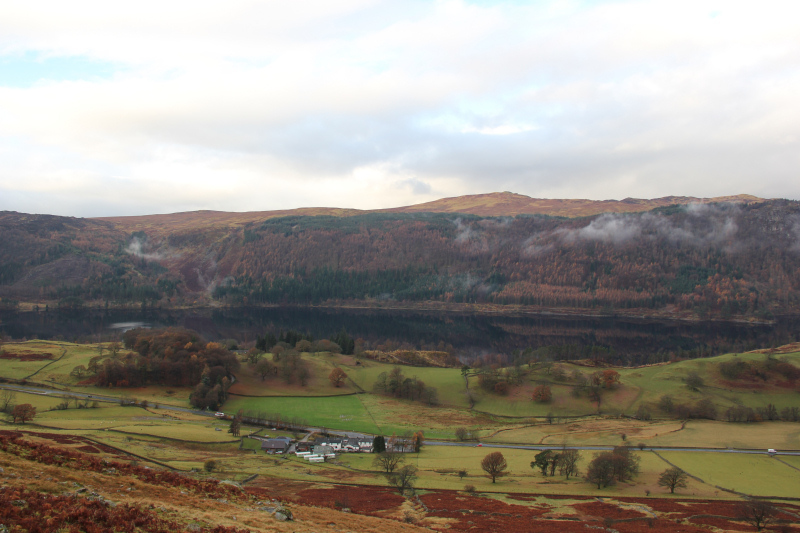 I walked a couple of kilometres along the road before getting a lift back to the hotel. A superb day out .